I don’t have time to read them, but I deeply enjoy holding their shiny little booklet pages, looking at the big pictures, the advertisements. Since I skip most TV commercials, seeing magazine ads are sometimes the only way I can keep tabs on what’s being dumped on consumers at any given moment. This year I’ve had four magazine subscriptions: National Geographic, Smithsonian, Wired, and The (new) Hollywood Reporter. I let The Hollywood Reporter lapse a couple months ago and I feel like I let Wired lapse two years ago, but it keeps coming. I really don’t think I pay for this – knowing that they don’t make profits from subscriptions, I’m guessing they just keep sending me (and others) issues to keep their circulation stats healthy. 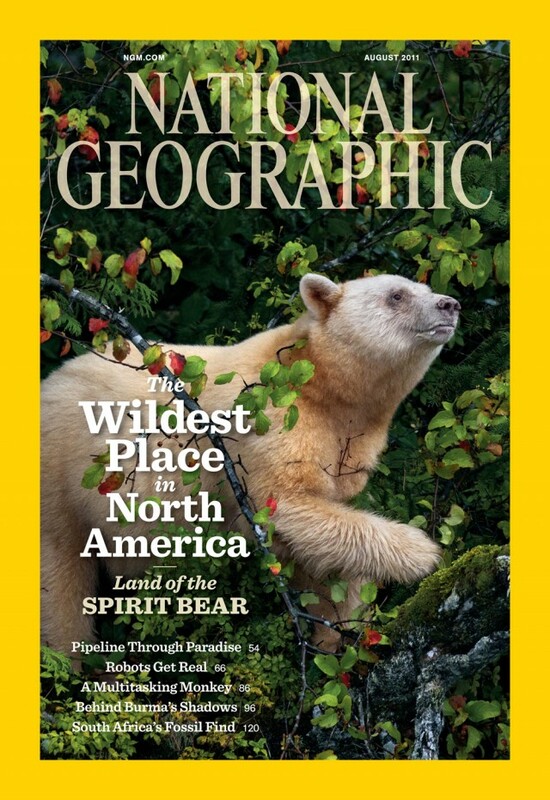 National Geographic and Smithsonian are both great publications that I can’t possibly keep up with. They become occasional bathroom reading. I have stacks of National Geographics STILL IN THEIR PLASTIC in my office and home. I want to read them – there’s always something amazing going on in there – but I just don’t have the time. Both of these were thoughtful gifts from my dear mother, but I will ask her to let them lapse now as a new present. Having unread magazines presents a similar stress to having unwatched episodes on the DVR. We’re constantly between 85% and 95% full on our DVR that needs cleaning out. We choose what to watch often based on an algorithm which calculates what will be erased against what we’re in the mood for. It’s not an algorithm, it’s a subtle emotional response to seeing the queue. If we watched a lot of CurrentTV, we’d really need an Al-Gore-rhythm. But I was reminded recently how powerful print media can be, while holding the Spirit Bear issue of National Geographic in my tiny hands (I’m roughly the size of a stick of butter). Look at this beautiful photography. The cover looks like a Renaissance painting – like it was staged for the glory of God and exaggerated to enhance His magick powers. Maybe Early Renaissance since there isn’t much realistic depth. I thought this would delight you, since you probably don’t have a subscription to this magazine. I also thought I could finish this post easily since the other ones I’ve been working on for the past month (I literally have 14 ‘Drafts’ of posts I’ve started) are much harder to write since they’re more personal and meaningful. One is about juggling. Proof. 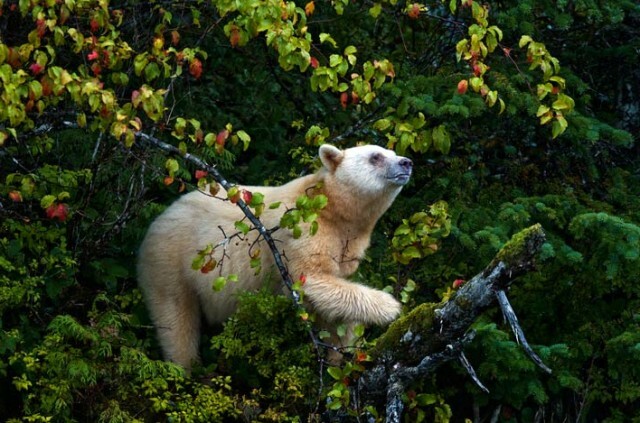 Look at this amazing bear, though! Here’s the original photo without the gross drop shadow text all over it. Newer Post From the Sketchbook (Volume 1) Older Post Wife, the magic dragon.